This describes the many opportunities for finding STEM professionals in relatively rural settings… your presenters do not have to come from an academic institution. Science is everywhere! One of the wonderful aspects of science and teen science cafés is that they have no limits on topics or places to convene. 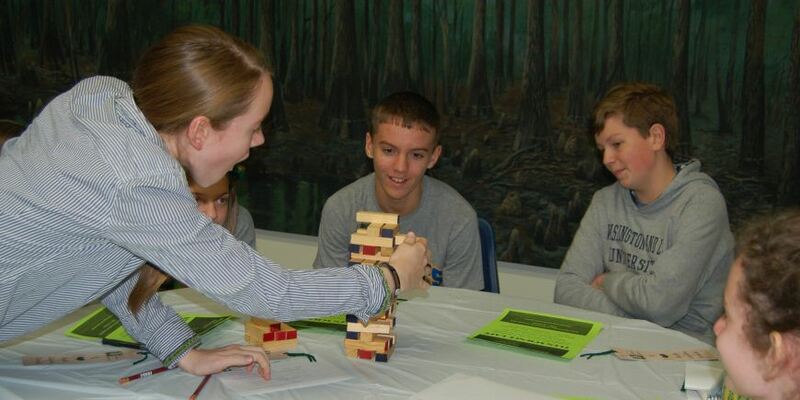 There are scientists everywhere and all you need is some dedicated teens and an adult leader to pull things together, even in Small Town America. In rural areas, it might not be so obvious where to find scientists, but you may in fact have many hidden opportunities for both great presenters and really unique hands on opportunities. What’s more, you will likely have a much broader representation of the degrees people have earned to pursue their passion, from associate degrees to Ph.Ds. Let’s start with the basics. Every community has utility systems – electric, water, sewage, waste and recycling, gas, cable, phone. Some homes and farms may have septic tanks and wells. How do these work? Where does our recycling go? There are scientists and engineers in each of these utilities that can answer that question and even show teens how they work with an onsite presentation. Then, there are civil engineers that build the roads and transportation engineers that manage traffic lights. Small towns typically have their own radio stations and maybe a public television station. Small engineering firms and renewable energy companies may have individuals with interest in sharing their knowledge with youth. Just asking around and talking with everyone you can about what you are trying to accomplish will probably turn up at least a name or two of someone you can follow up with later. Learning about the technology behind these communications systems that we take for granted can be eye opening. The local weather forecaster is often trained as a meteorologist and would make for an interesting café. Agriculture in general is ripe for making science connections for youth as well as connecting them to where their food comes from. Animal husbandry and plant breeding require knowledge of genetics and may be a good starting point to get kids thinking about the relevance of what they are learning in the classroom. Another potential resource is retired science teachers. They have the science background to draw from and the ability to work with kids, including hands on activities. Rural areas generally have nearby forests and state or federal parks. These are rich sources for science experts and very knowledgeable amateur scientists. Every county has state fish and game offices, a Cooperative Extension Agent and master gardeners that can talk about animals, seeds, crops, plant diseases and many other topics. We once took a field trip to the Sweetwater Wetlands in Tucson, a restored wetland that used the treated water from the sewage treatment plant. It was fascinating to learn how to create a balanced ecosystem from scratch, but we also learned about how one must manage bacteria that could be introduced to these systems from migratory birds and visa versa. Another field trip was to a Shidoni Bronze Foundry in Tesuque NM. We learned about making of bronze and the process of pouring bronze for statues. With the ever-improving technology in our lives, dumps and recycling centers are filling up with old printers, computers, phones and much more. A café could explore taking these apart and understanding the key components; how they scale in size from a desktop computer to the chip in a smart phone is mind-boggling. Funeral homes and crematoria have experts in preparing bodies after death and what teen isn’t a bit intrigued by dead bodies? The county most likely has crime scene investigators, and Emergency Medical Technician’s that can talk about the challenges of emergency medicine. Local dentists and doctors, physical therapists and yoga instructors can teach about the body. Psychiatrists can talk about brain and emotional disorders. 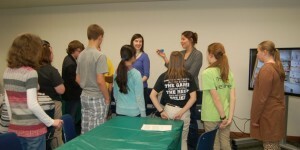 We have found that teens are keenly interested in the brain, especially their own. Dairies, local cheese makers or breweries can be great sources of presentations on how we prepare these unique foods. Cooking in general – the science of baking or marinating or other aspects could be explored. Local pilots – maybe there is a civil air patrol group – can teach about flight and the nuances of flying in different types of weather conditions. There may be entrepreneurs in the community such as game developers who could talk about the science of game development and what makes a game wildly successful? Cyber security experts can work from home managing systems worldwide. They could talk about how to protect you computer, phone or other devices from snooping by the NSA or someone else. These are just a few of the kinds of experts you may find in your community. Thinking outside the box and being vocal with your needs in the community can all help to find that perfect presenter. What are some of your best ideas for finding them in your community? 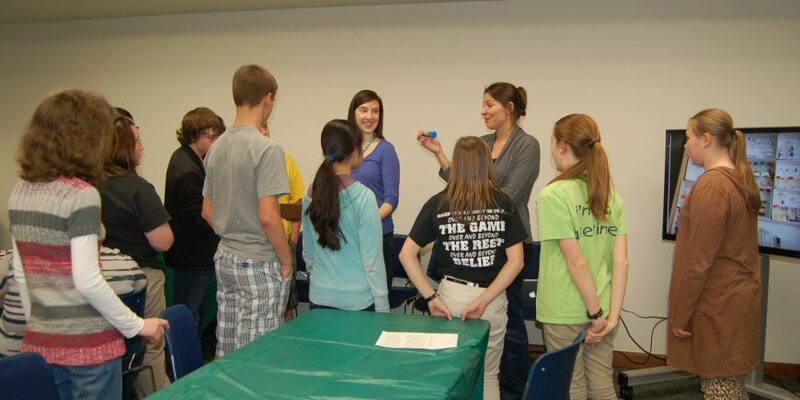 Contributions to this blog from Alyson Saunders with the Teen Science Cafe for ME! program in rural Maine are greatly appreciated.